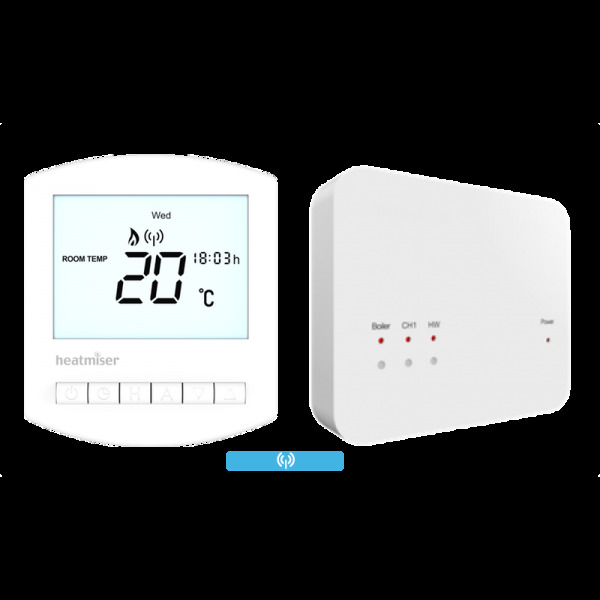 The RF Switch is a 2 Channel Receiver providing 2 changeover contacts, 1 for the heating circuit and 1 for the hot water circuit. In addition, the RF Switch provides a volt free switch for the boiler. The RF Switch can be paired to the UH8-RF to provide a wireless link for the boiler signal.